In the mountains the weather can change so rapidly and today was a cool and cloudy day. We savoured the spectacular vista from the cosy warmth of the sleeping bags and the wind protection of the tent. 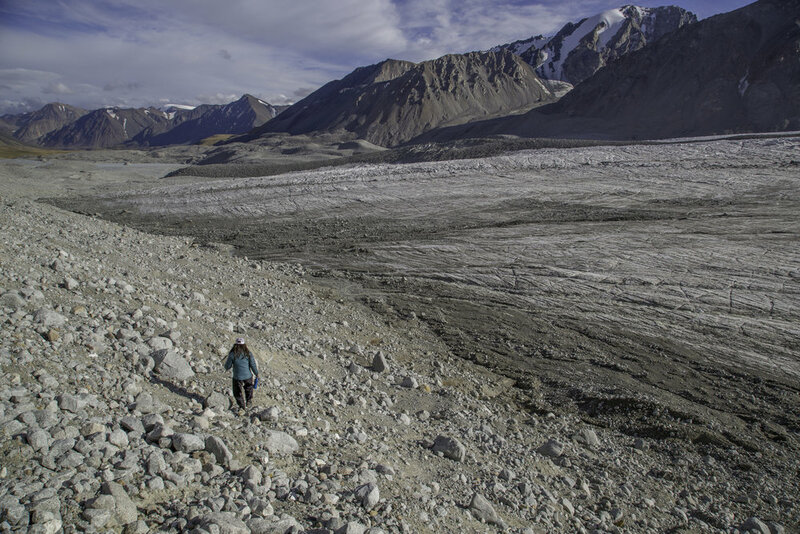 Later in the morning, we walked over to the Tavan Bogd basecamp above the Potaniin Glacier, about 3 kilometres away. It can be quite crowded at the base camp at the height of the season but we were there at the tail end and so there were plenty of spots to set up our tent. Finding flat ground is important for a good sleep - I always volunteer for the job! 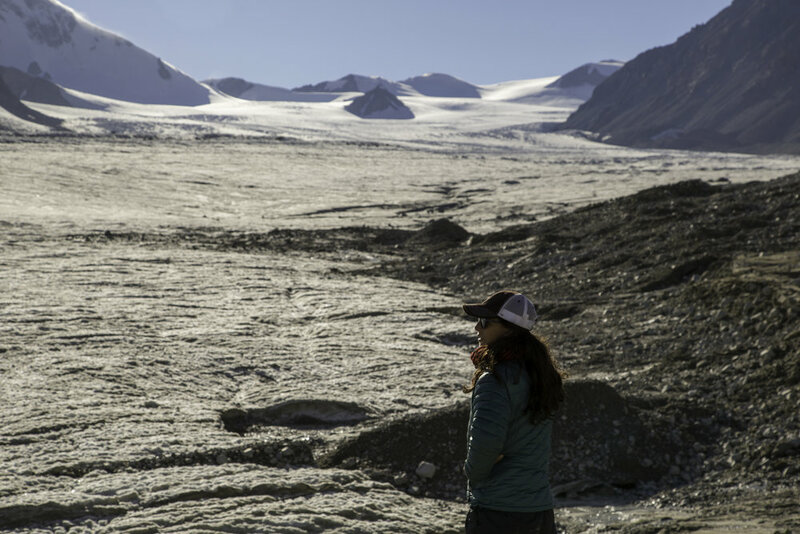 Last time I came to Mongolia I had been on my own and had not dared to explore the Potanin Glacier solo. I had only managed to skirt my way warily around the slushy edges where the land meets the ice. This time I had company, and we had each other’s backs. We made our way down the rocky mountain side and over the small wet gullies created by the running water. The Potanin Glacier - Mongolia's largest... just a little impressive!